Then You NEED this Webinar! Get Immediate Access To "My Credit Cleaning Webinar"
Special Offer! 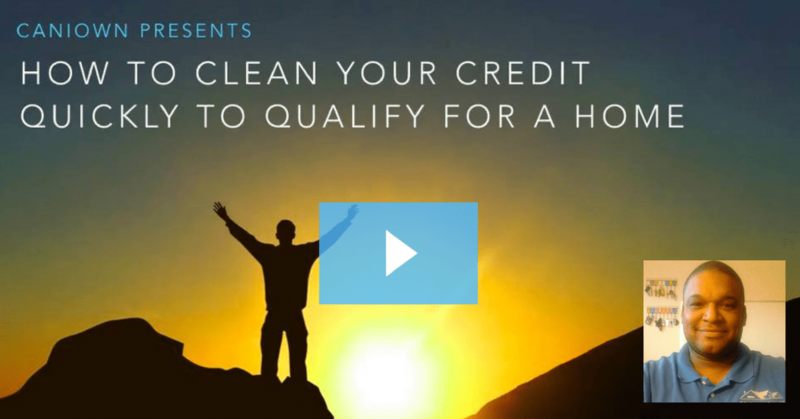 Get Instant Access to My Ultimate Credit Cleaning Webinar Today! YES! I'm ready to educate myself, clean my credit, and take the next step toward buying a home! Order today and get instant access to my credit cleaning webinar. In this webinar I explain each technique that you should use to remove negative items from your credit. I also show you what to do when something CANNOT be removed from your credit and how to still make sure that you will qualify to buy a house. This webinar is a must-have if you have ANY blemishes on your credit. Best of all, once you learn these techniques you can use them over and over again to make sure that your credit stays clean and you qualify for almost ANYTHING that you need to purchase using credit. Don't miss this valuable tool, Order NOW! Order Now...Only $129 $49.99 Today! No Thanks! I don't want to improve my credit!